For many people today, the relationship between science and religion or theology can be summarized in one word: “conflict”. While conflicts inevitably do arise, there are many Christians who believe that a more helpful framework for conceiving the relations between science and theology is one of harmony. In this episode of the Tentative Apologist Podcast we explore the possibility of harmony — a mutually enriching concord — as we sit down for a chat with Dr. Deborah Haarsma. Dr. Haarsma earned a PhD in astrophysics from MIT and is currently the President of The BioLogos Foundation, a position she has held for the last two years. Prior to joining Biologos she was a professor and chair in the Department of Physics and Astronomy at Calvin College in Grand Rapids, Michigan. 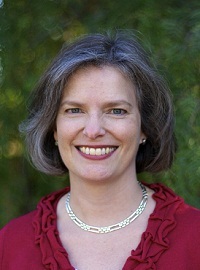 Dr. Haarsma is also co-author with her husband Loren Haarsma of the book Origins: Christian Perspectives on Creation, Evolution, and Intelligent Design. In this conversation Dr. Haarsma introduces us to Biologos and the possibility it holds out for a true harmony between theology and science, creation and evolution.